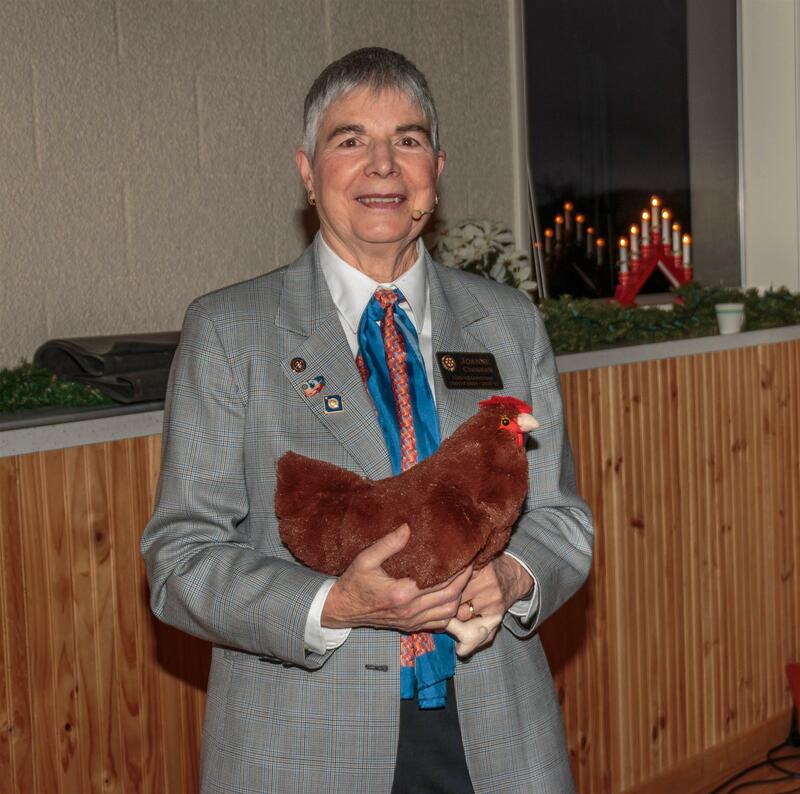 Rotary District Governor Joanne Croghan (with her gift chicken) was the featured speaker at today's meeting. This was stop number number 88 on her District tour. She described the Poulsbo Rotary Club as “closest to her home and closest to her heart”. Joanne considers herself an “ordinary” Rotarian even as she explained about some extraordinary projects that she has put together throughout the world. Her most significant contribution was in leading her Bainbridge Island Club (with support from Rotary International Grants and funding from other clubs) in organizing the drilling of 191 bore holes to provide sources of clean water in Uganda.